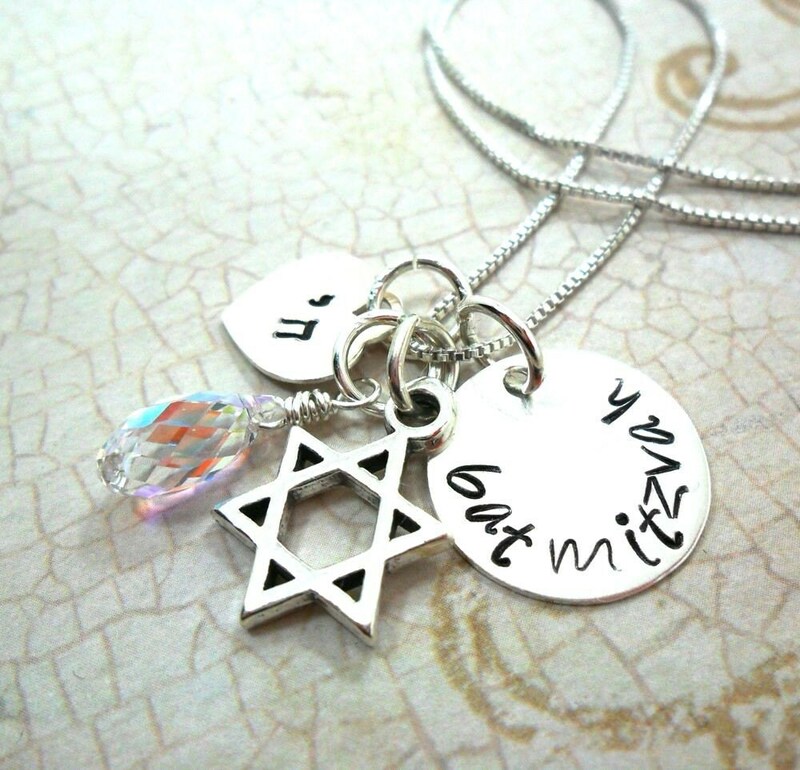 Composed of a beautiful 5/8" sterling silver pendant, hand stamped in my "Handwriting" font with the words "Bat Mitzvah," a Star of David charm, a 1/2" tiffany-style heart hand stamped in Hebrew with the word "Chai" (life, living) and accented by a Swarovski crystal teardrop in your choice of Crystal AB or Rose, this necklace is sure to be a new favorite for your Bat Mitzvah! 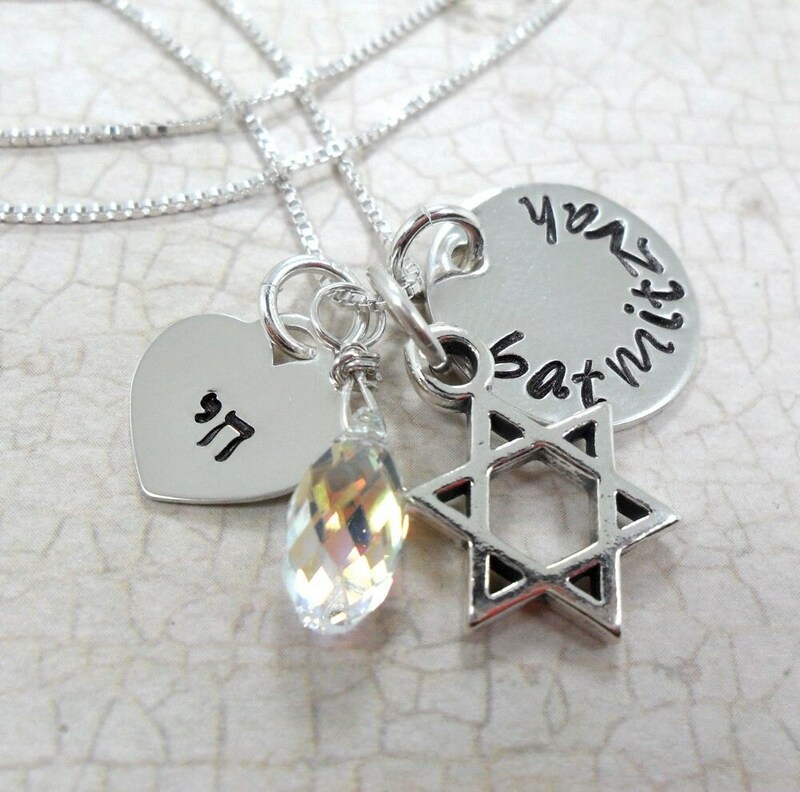 A 4mm Swarovski birthstone may also be added for no extra charge, just specify the Bat Mitzvah girl's birth month in the note space provided at purchase. Would you like to add, subtract, mix & match charms? 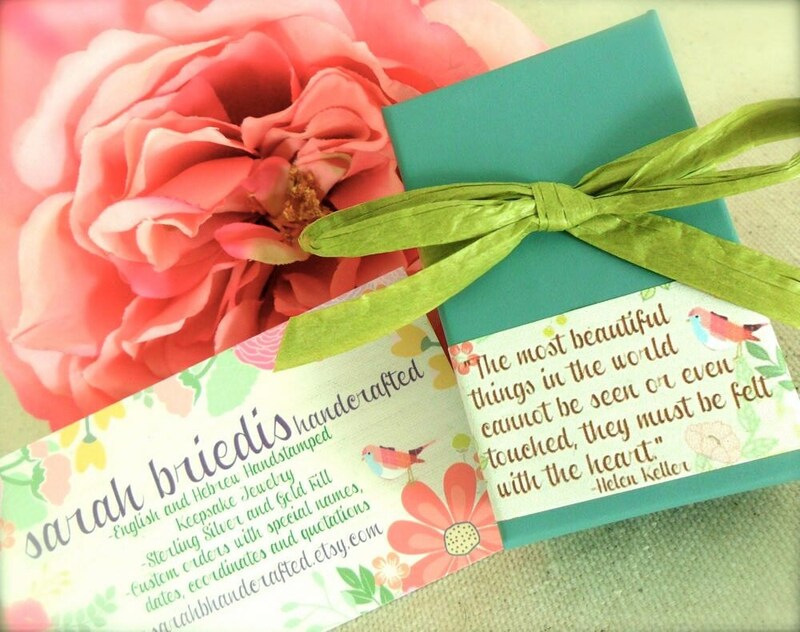 Just convo me and we'll create the perfect Bat Mitzvah charm necklace for your gal!